Employment Equity Electronic Submission, have you received a reminder letter from the Department of Labour regarding Employment Equity Electronic Submission 2015? The deadline for manual submissions is the 1st October 2015, however, the deadline for the electronic submission is the 15th January 2016. Are you ready for 2015 submission? 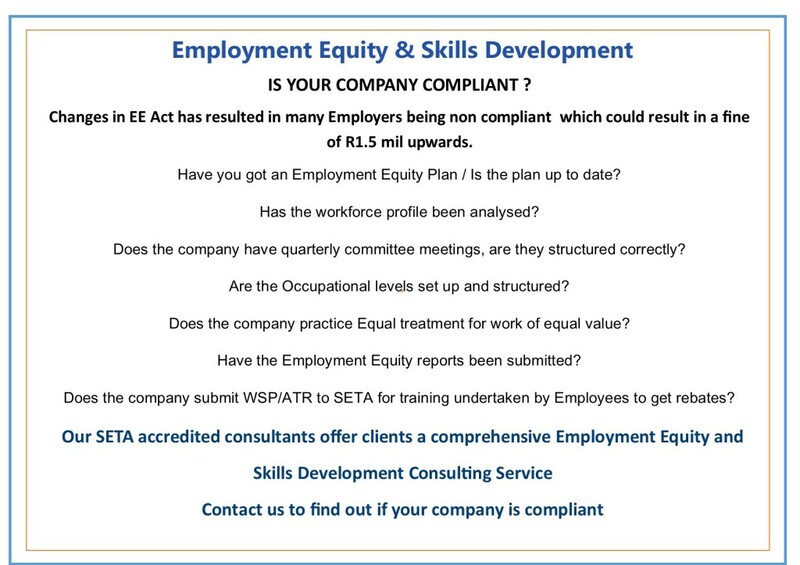 Ensure your company is compliant and has updated their EE procedures to include the changes made to the Employment Equity Act in 2014. Do you require assistance with the Employment Equity Process? Employment Equity Legislation is not just about submitting annual report, its about the continuous management and control of the Employment Equity Plan. Is your company compliant? Due to the large amount of preparation to take place(even for small companies), do not leave your submission until the ‘last minute’. Pay Solutions have a team of highly trained consultants who can guide you through the process to ensure compliance is achieved. What is Employment Equity in a nutshell? The purpose of this Act is to achieve equity in the workplace by- (a) promoting equal opportunity and fair treatment in employment through the. elimination of unfair discrimination; and. (h) implementing afﬁrmative action measures to redress the previous disadvantaged. Speak to Pay Solutions for assistance with all aspects of HR including Employment Equity Legislation.